In my book, Social Splash, I'll teach you how to find clients on Facebook, Twitter, Pinterest and live streaming platforms- the four places I find my own clients. You'll learn the strategies I put in place that got me booked out for six months, the no.1 Facebook group that gives me clients, how to get potential clients from social media into your sales funnel + much more! A new freelancer who desperately needs to start booking clients. An experienced freelancer who wants to get booked out. Going through a slow stage and worrying if your business will stay afloat. Dreaming of quitting your day job to start freelancing, but unsure how you're going to find clients. Scared that freelancing won't work out and you'll have to get a day job soon. Baffled by the amount of freelancers you see who are constantly booked out, and wondering- how?? Social Splash is a 100-page ebook + 5 podcast interviews teaching you my strategies for finding clients through social media and getting booked out. Clients come knocking down your digital door (aka. flooding your inbox with inquiries). You get booked out for 2-6 months and never have to worry about being unable to pay your rent. Ever. You have to take down your contact form and replace it with a 'I'm currently booked out, sorry!' message. You sleep well, knowing you have enough clients booked in to live a comfortable and sustainable lifestyle. The one thing you MUST have for social media marketing to work. How to streamline your social profiles & look like a pro. How to brand & design your social profiles so make the best first impression on potential clients. How to find clients on Facebook. How to find clients on Pinterest. How to find clients on Twitter. How to find clients via live streaming on social media platforms like Facebook Live and Instagram. How to get clients to stick around once they've clicked through to your website. How to get clients from social media and into your sales funnel. 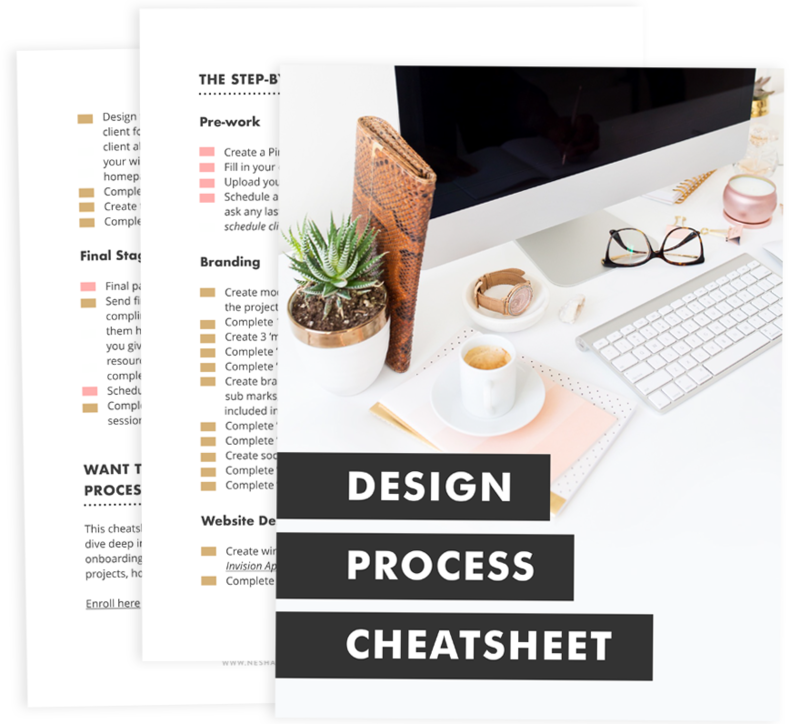 Worksheets you can print out and fill in to help you build a social marketing plan + find clients. Checklists and lists of my favorite tools & resources so you can find the tools to help automate your social marketing process. Screenshots, examples and step-by-step tutorials. A readymade social media schedule telling you exactly what to post and when. You'll also receive 5 podcast interviews with Maya Elious, Heather Crabtree, Alisha Nicole, Kayla Hollatz and Rekita Nicole on the social media platforms that convert the best for their businesses! What happens after I buy the book? You'll immediately receive an email with the link to download the ebook and a password to the page of podcast interviews. Will this book work even if I'm not a freelancer? I wrote this book with freelancers in mind because I'm a freelance designer myself. However, the lessons and strategies I've shared in the book will work for all service-based businesses. Will the strategies in this book work no matter who my target market is? Due to the digital nature of this book, refunds are not available. I've always felt overwhelmed by social media. Nesha's ebook helped me see how I can schedule social media content and easily share to multiple networks in only a few hours a week. I also learned a ton about live video streaming, which I knew next to nothing about before the book. I really had no clue what it took to really engage and reach a wide audience online until reading this book. It has really helped me to become more organised and professional about the way that I promote my services online. Being new to a lot of the social media platforms, it simplified and clarified some of the complexities and myths surrounding online social networking. I thought I'd read enough articles and blog posts about social media marketing to know what I was doing, but after reading Social Splash I realised I was going about most of it the wrong way! This book has taught me a loads of great detailed advice, perfect for new freelancers like myself!